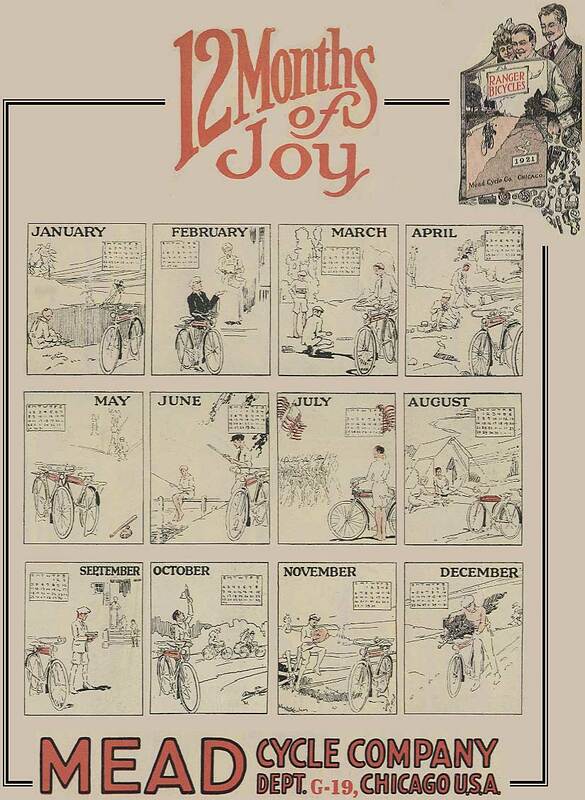 This advert/calender is interesting in that the bicycle company was located in an area of the world that can have somewhat harsh winters but in 1921 they were promoting the bicycle as 12 months of joy. 90 years later and it seems like we could use more of this type of positive reinforcement of the image of the bicycle, not only as a viable form of transport but also one that can be utilized year-round...no matter what the climate. Click the image for a larger view. 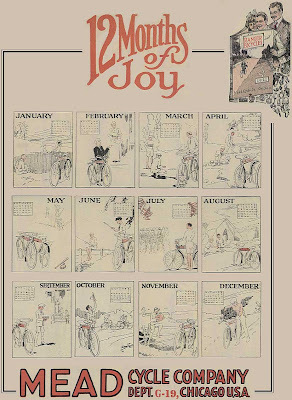 To see more about the Mead Bicycle Company, click here; the image was found here.